Disclosure: This is not a sponsored post. We received complimentary tickets to attend Marvel Universe Live! 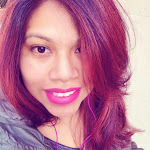 for being a part of the Marvel Universe Live social media influencer team. All words and opinions expressed are 100% our own as always. The weather was a little bit gloomy but it truly seems to be that way every time we head over to the Barclay Center, located in Brooklyn. We've been there to watch Disney On Ice and it rains every time we go, haha. It hasn't stopped us and it truly makes it a more memorable night. Well, last week was not the exception. As we headed to Brooklyn for Marvel Universe Live! and it was pouring, we took an Uber instead of the train and got ready for a night of superhero fun. 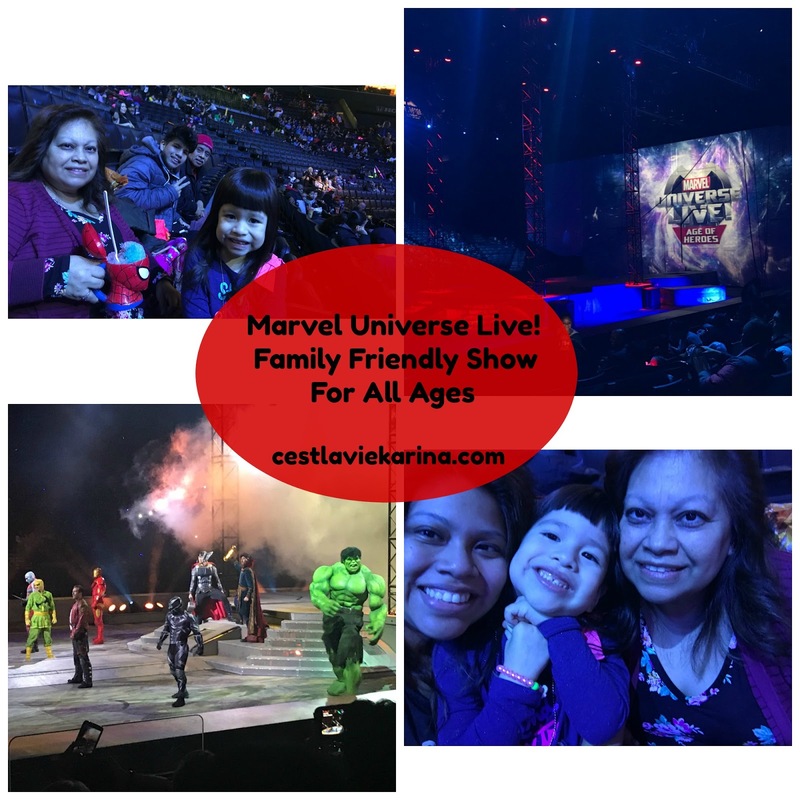 This was our first time watching Marvel Universe Live! and the good news is that this is their second installment. We've only missed the first installment which was last year and that truly made us happy, because after watching the show we will definitely be adding this to our yearly family tradition and here are a few reasons why! Marvel Universe LIVE! Age of Heroes brings the most popular Marvel Super Heroes and Villains together, featuring the live-action debut of the Guardians of the Galaxy and the return of favorites such as Spider-Man and The Avengers. That means that a night full of action packed fun with unimaginable stunts, and other fun stuff as in store for us.We arrived 30 minutes before show time and were able to catch a fun before show hat features a guy doing fun stuff with one of the boomerangs that is sold at the venue. Seriously, just made us all more anxious to see the show. As they turned off the lights and the the Marvel Universe Live! banner lit up the screams were crazy ones, it was exciting to say nonetheless. As each Superhero came out the screams became louder, the two most exciting ones were for Black Panther and then Spider-Man, he's a native New Yorker therefore he definitely needed loud screams. We were expecting a night full of superhero fun, what we weren't expecting was the amazing acrobats, special effects and fun stunts that would go on. From drum hitting with fire lit up torches, Spider-man soaring through the stage or the fun fireworks that would flare out when they aimed at a villain. Valentina loved the show and even though she was dreading the moment that The Incredible Hulk came out because he looked a little bit scary, she was all happy cheering when he did make his appearance. All I could hear was "Yay, The Hulk" . My parents loved being able to see the show and each had their own favorite part. My dad loves everything related to the chinese culture and was fascinated with the dragon and acrobats. As for my mom she was mesmerized with the torches. Even Miguel my now teen son who wasn't so sure about going with us, loved, loved, loved the show and made for a great night that he was able to share with his little sister and us. I'd recommend this show for all families and kids of all ages. Marvel Universe Live! will be at the Nassau Coliseum from March 22nd trough April 1st. Make sure to make it a family night and join the Guardians of the Galaxy, Spider-Man, Captain America, Iron Man, Thor and others to combat the scheming Nebula and her loathsome villain friends and recover the Wand of Watoomb to defend the universe from evil.